I always wanted a great knife sharpener, simply because a sharp knife is the best and mandatory in any kitchen. 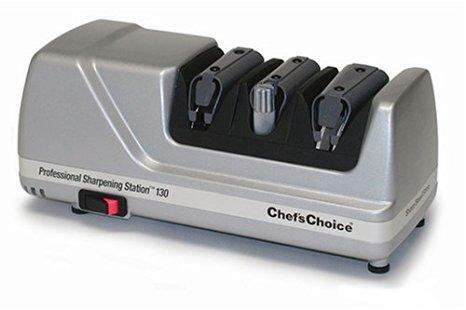 After I have tried a lot of different models, I decided that the Chef’s Choice M130 Knife Sharpener is simply the best. It isn’t an ordinary model, but a professional sharpener that comes with advanced features and a great quality. In fact, this is one of the rare models developed especially for professional use. 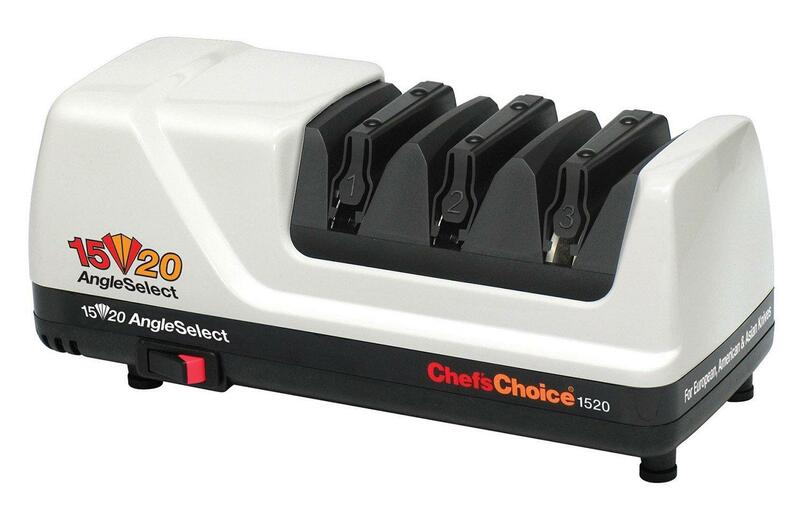 The Chef’s Choice M130 Knife Sharpener is unique and different simply because it offers 3 stages, rather than 2, as the most models of this type. This means that the knives will be even sharper and the end effect will be better. The first stage is rough sharpening and it will remove any damages and similar issues. The diamond components are responsible for this stage. The second stage will sharp the knife and the third one will polish it. The end result is a factory sharp blade that can withstand anything and can cut through any food effortless. This system also extends the lifespan of a knife, due to the fact it removes less material from the blade, which means that it can be sharpened for a longer period of time. In addition, electric sharpeners with 3 stages are very rare nowadays. 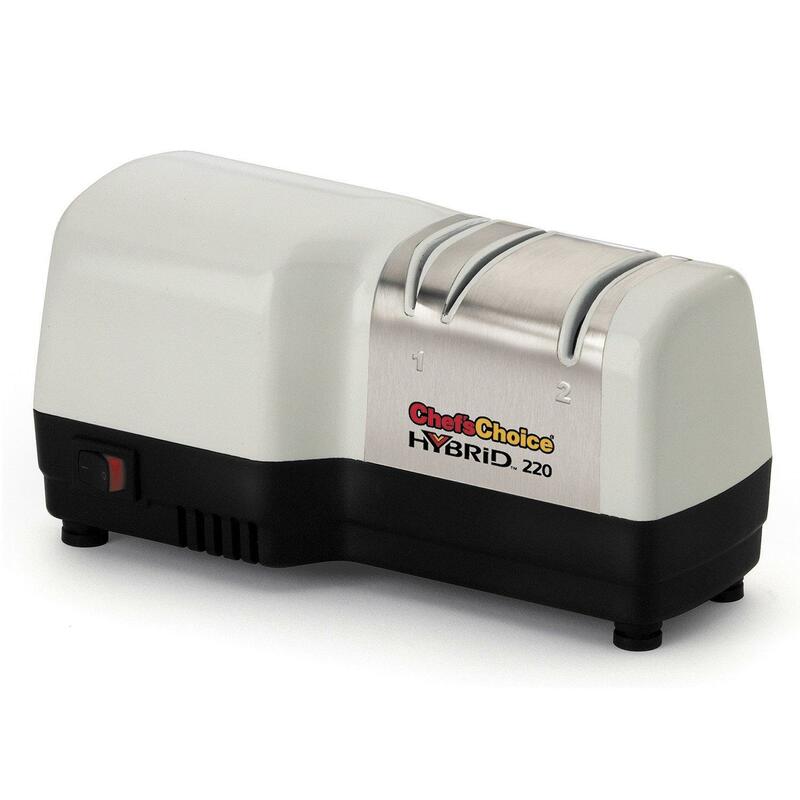 Another, advanced feature when it comes to the Chef’s Choice M130 Knife Sharpener is the fact it can be used for serrated and ordinary knives. This makes it far more useful than any other model on the market right now and it is possible to use it in professional kitchens. Keep in mind that this feature is also unique and there are no many sharpeners with it. Luckily, the Chef’s Choice M130 Knife Sharpener comes with it, so it is more useful than any other electric sharpener at this moment. Re-sharpening any knife is quicker as well and it will take just a few minutes. In busy kitchens, where the time is precious, this addition is extremely important. No matter which type of a knife you want to make sharper, the end effect will be amazing. The last, but extremely important feature is a high level of precision. 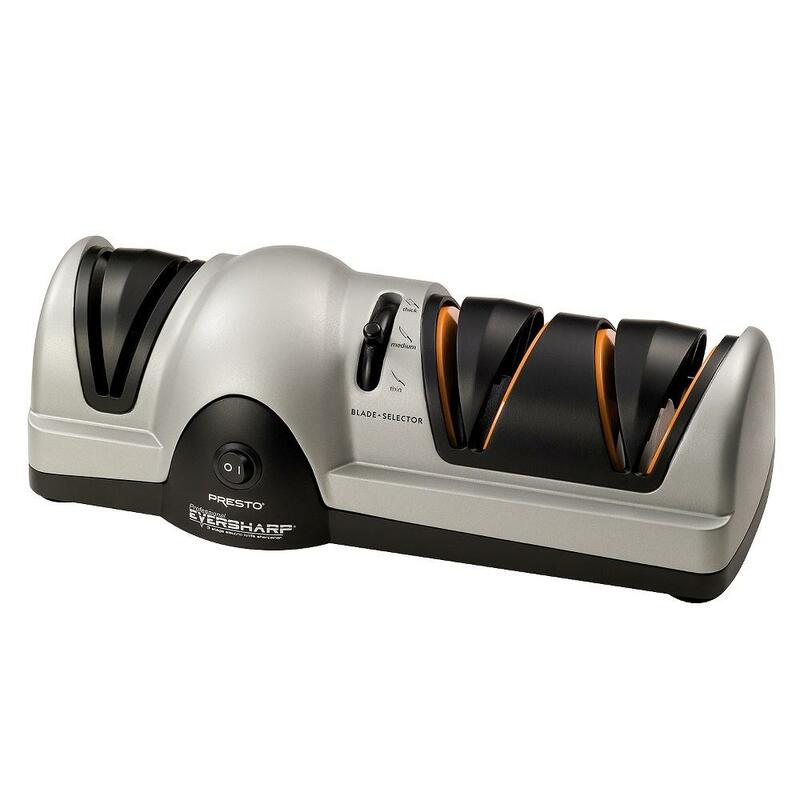 The Chef’s Choice M130 Knife Sharpener is designed for precise sharpening, so it comes with a special system that allows you to sharpen any knife and return the edge in a factory condition. This is one of the reasons why it comes with 3 stages. Another reason why high precision is mandatory is the fact it makes any blade sharper than ever, so even cheap knives can be more useful than ever before. The last advantage is the simplicity of the sharpening. It is much easier to use this model than any other, available on the market. The possibility to sharp serrated and ordinary knives and 3 stages are the best features of the Chef’s Choice M130 Knife Sharpener. This model has 4.6 out of 5 star rating. The Chef’s Choice M130 Knife Sharpener is a professional model that comes with a professional design and the latest features. Despite the fact, it is more affordable than similar models, so it is a smart choice. Keep in mind that it offers a lot better sharpening than most other models, due to the fact it comes with 3 stages and a high precision.